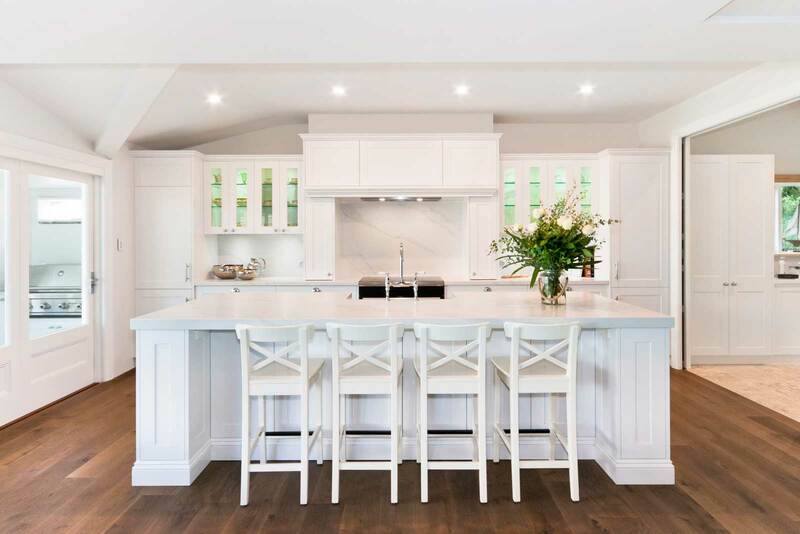 The homeowner wanted to combine the aesthetic of a classic English kitchen from her heritage with an Australian beach feel, drawing on the location of the house. This kitchen is part of a large renovation of an older house on the North Shore. The designer worked with the client on a number of different designs before settling on this as their final choice. The kitchen opens up onto a beautiful deck with water views and houses a barbecue just outside for easy use. 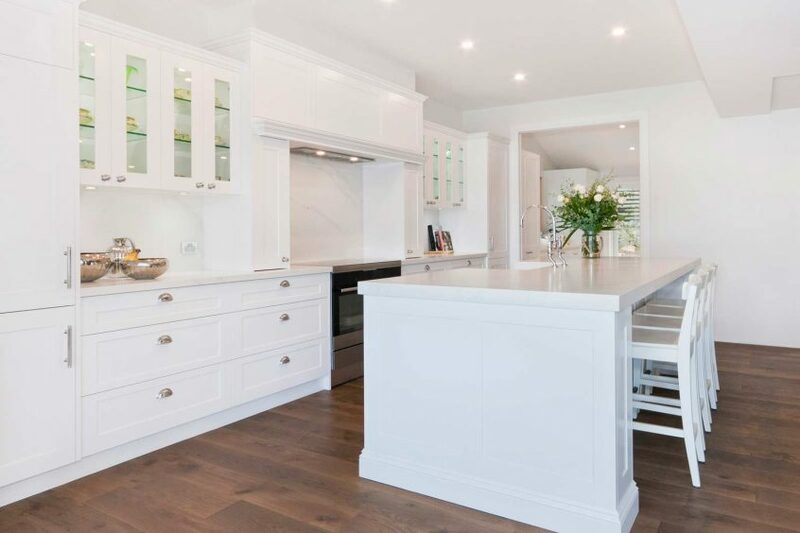 The main design considerations were giving the homeowner a stunning kitchen for entertaining and sharing with her family, while also being very practical and useable space for a family of five. 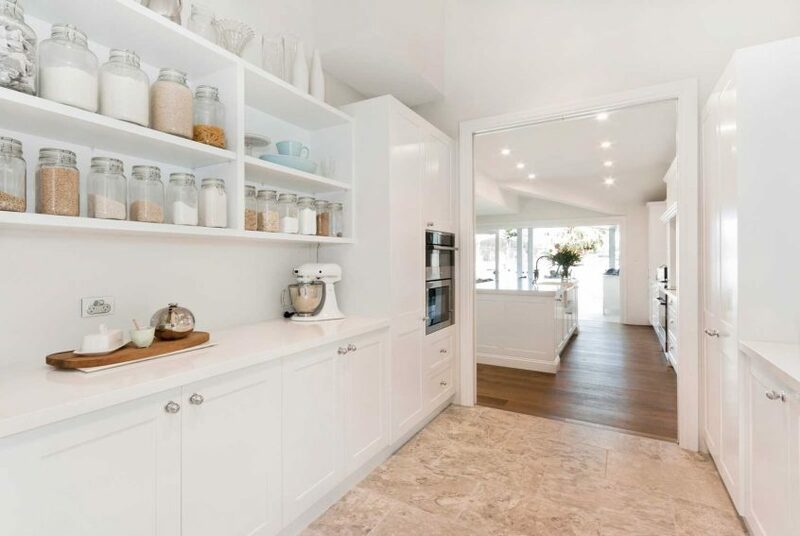 The butler’s pantry allows for all the preparation to take place away from the main kitchen, especially with its oven and microwave stack, separate sink and Billi boiling and sparkling water system. 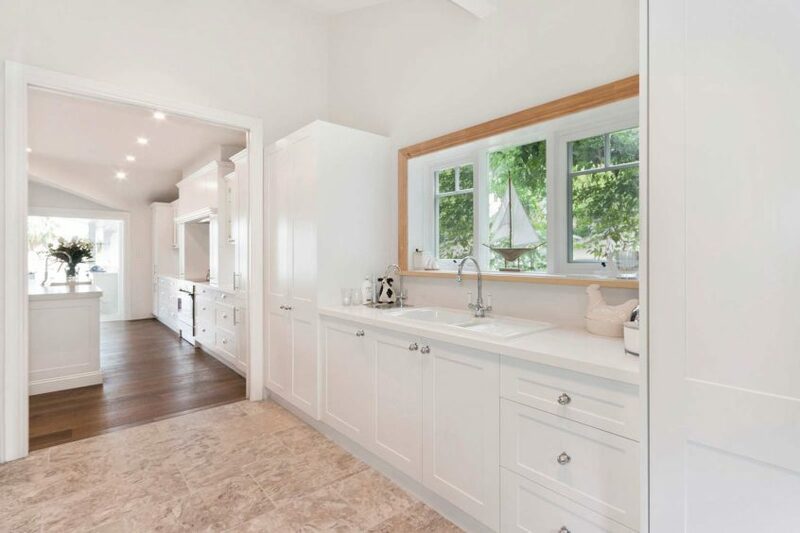 The main kitchen has a gorgeous Essastone Unique Calacatta island and beautiful Shaws butler’s sink with a tap from Perrin and Rowe. 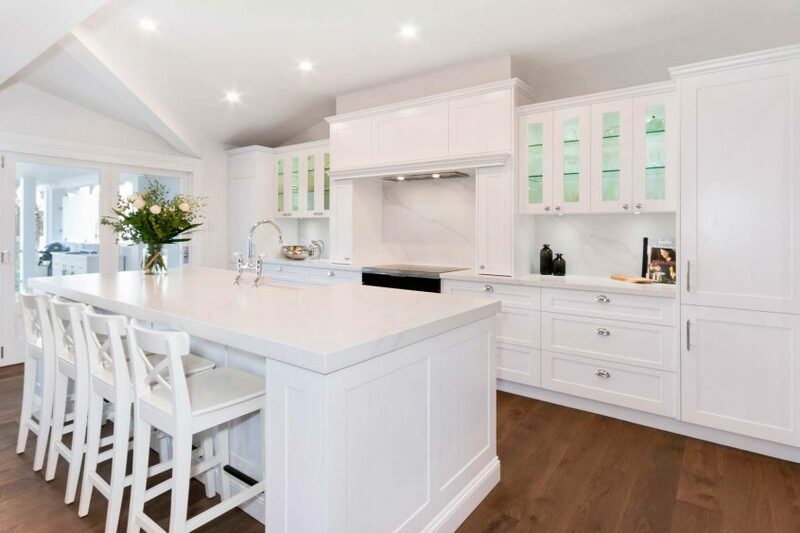 The kitchen has a fully integrated laundry in the butlers pantry and a lovely outdoor barbecue area.